Direction finding and locating systems are typically used in aerospace and defense, law enforcement, homeland security, public safety and other fields to detect and locate electronic signals. 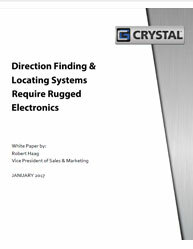 Why ruggedized electronics are critical components of Direction Finding and Locating Systems? This whitepaper highlights the modern rugged computer and network technology for deployment in hostile environments of extreme temperature and vehicle-caused shock, including an explanation of working and benefits of signal detection technology. Key takeaways from this whitepaper: Armed forces installation Rugged, robust hardware required Rugged networking needs The comprehensive, ground-based system attributes transportable shelters, antennas, rugged electronic gear, and processing software that can withstand years of use in extreme conditions. How can an air carrier take advantage of the MSG-3 based aircraft maintenance programs? In the aircraft maintenance world, MSG-3 is the root of all inspection schedules in a process starting before an aircraft enters service. Here is a look at this fascinating process of how manufacturers and operators work to achieve the end result. 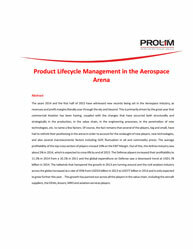 This whitepaper examines the development of aircraft maintenance program logic and offers suggestions for realizing the full safety of those developments. What are the three broad processes introduced by MSG-1 to classify the scheduled aircraft maintenance requirements? What are the four basic objectives of an efficient airline maintenance program generated by MSG-3? What are the MSG-3 requirements and the mandatory maintenance requirements generated by compliance to FAR 25.571 that a new aircraft usually have? Download this informative whitepaper to make the first step in making that necessary culture change and achieving the economic benefits of MSG-3 maintenance program in an air carrier’s maintenance organization. Wireless in-flight entertainment (IFE) system has reached new heights as one of the most dynamic elements of the aircraft interiors industry. With airlines facing an increasingly competitive environment, the in-flight entertainment experience can be a powerful differentiator for passengers when choosing a company to fly with. Frequently cited as a major priority for passengers, the industry continues to push boundaries, developing technologies and products that strive to improve and enhance the airline passenger experience. Download this whitepaper to know how wireless technology in in-flight entertainment system is making it easier for airlines to deliver more entertainment choices and better customer service to passengers. It also includes: How can a robust wireless system support ''Aircraft In-Flight Entertainment '' Challenges of supporting multi-national flight operations Accelerating in-flight entertainment time to market Picking a wireless IFE solution partner you can trust Who says entertainment cannot be the simplicity of sending an email, booking a taxi or updating your Instagram, all at 30,000 feet? Control charts analysis is the key tool for quality control and figures prominently in lean manufacturing and Six Sigma efforts. Choosing the wrong type of control chart may result in “false positives” since the chart may not be sensitive enough for your process. So what are the major control charts types available? How can you select the Right Control Chart? Selecting the most appropriate type of control chart to use in your situations can be overwhelming. Implementing a simple decision tree to select the right control chart can improve manufacturing processes and product quality. This guide uses automated as well as manual sampling to present control charts in real time and alerts operators and quality engineers to take samples and initiate process improvements. This whitepaper analyzes and compares the benefits and weaknesses of each type of control charts, thereby helping you in determining the most appropriate type of control charts for your organization. Learn about: The processes implemented in the analysis of control charts. The factors affecting the efficiency of control charts. Download this whitepaper now to learn more about the applications of control charts and the methods to be followed when it comes to choosing a control chart. New business practices and modern Continuing Analysis and Surveillance System (CASS)-based reliability programs and policies are needed to provide the means for operators to make significant and justified adjustments to scheduled maintenance task or check intervals. The airlines need to apply best business practices and a modern CASS-based reliability program to dynamically adjust their scheduled maintenance requirements in a professional, safe and realistic manner. Read this whitepaper on “Arbitrary Escalation Caps (AES),” that addresses the key questions including: What are the characteristics of an effective CASS based reliability program? What are the reasons that they may highlight a problem with air carrier CASS based reliability programs? 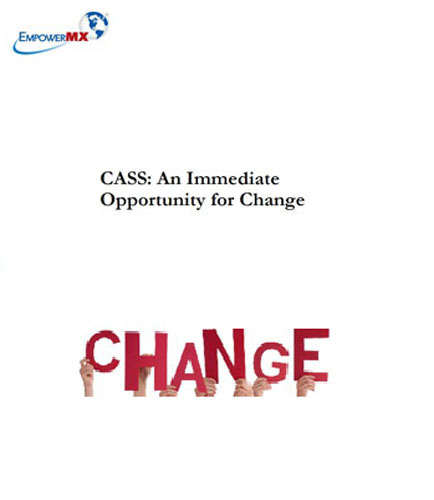 What are the program elements and expected benefits associated with the CASS based reliability program?